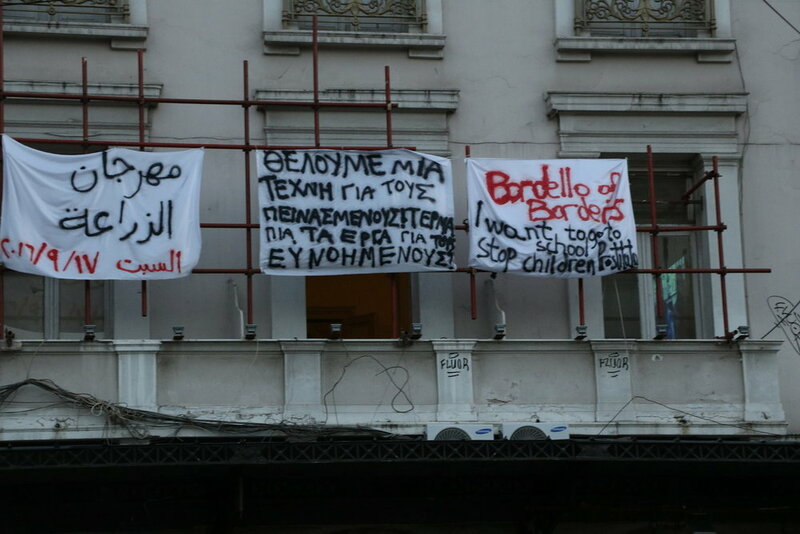 The public reaction to the work instigated Diafas into performing an action where he invited the visitors of the exhibition as well as the public from Omonoia Square into the Bagkeion building. 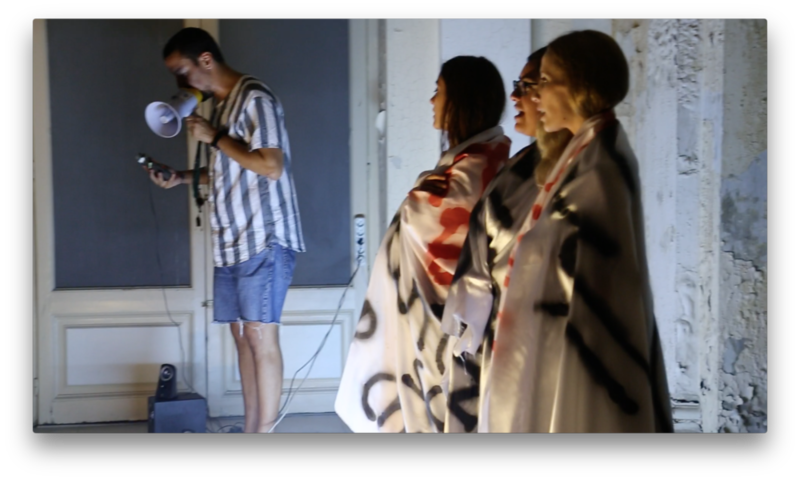 Chanting "censor-sheep" he lowered the banner, read the manifesto which raised the question "How can art be made when everything around you is dying?" and rallied the public to chant the "censored" slogan (We want an art for the starving...), placing the artwork in a more conventional exhibitional manner. The question "What can we do with art when we are starving" remains for the artist, open.